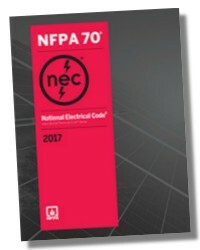 You can learn and earn free electrical continnuing education courses! State-approved, online courses make it easy for you to renew your license from the comfort of home. No charge to report your completion to multiple states. Your courses are available 24/7. There is no cost to try, so start today! Custom engraved selector switch plates, legend plates, conduit/valve­ tags, outlet wall plates, recepticle plates, name tags, labels, tags and signs. Standard selector/switch­ plates: Cutler Hammer, Allen Bradley, Square D, Eaton, G.E. as well as custom sizes and colors. Very reasonable rates. Made Fast, Shipped Fast. Web : www.bandielectricianmiami.com For Electrical Services…..
We are a private garage door repair, garage door spring repair, garage door opener installation, garage door opener repair in Santa Barbara. With a confusing number of options in the market place available, we have been advising customers of the best solutions for many years. When it comes to choosing garage doors repair, Home Security equipment or new gates we have excellent advice and solutions to offer. Our reputation is based on providing a friendly and reliable service, which has led to a large list of customers who are satisfied with there new garage door repair, automated gates or security shutters solution. Brand new Siemens 112.5KVA stepdown transformer for sale. Unit has never been installed and doesn't have any holes punched out of it. Primary is 480 volts and secondary is 208/120. Price can be negotiable.